The present study was conducted for 2 years at six locations along the east coast of South Andaman to study the gastropod vertical zonation. The samples were collected at 3-month intervals between August 2013 and July 2015 (n = 574). 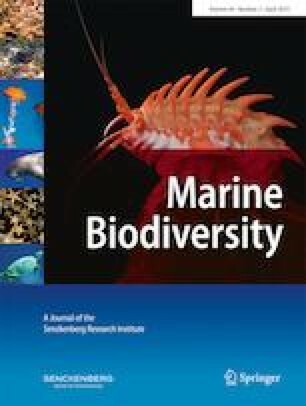 The abundance, richness and diversity of high-, mid- and low-shore gastropods was examined to assess the zonal (shore height) variation at the spatial and temporal scales. The upper shore showed higher abundance and lower richness of gastropods in comparison to the mid and lower shores. While the mid shore showed higher diversity of gastropods, abundance was low compared to the upper shore. Differences in gastropod population were greater among locations relative to seasons. This study also reveals that there are significant differences in the gastropods distribution at different shore heights and this variation in the distribution of gastropod assemblage is greater than horizontal variation (i.e. at the spatial scale). Based on the gastropods abundance results, the rocky shore of Andaman may be divided as littorinid, neritid and muricid zones. The PERMANOVA test showed a significant difference of gastropod zonation at the spatial scale and not with time. Bray–Curtis similarity hierarchy and non-metric multi-dimensional scaling (nMDS) separated the study sites into three groups corresponding to shore heights and SIMPER (similarity percentage) analysis revealed the characterising taxa for each group. We are thankful to Pondicherry University for providing the required facilities to carry out the research and for the fellowship to Vikas Pandey. We also thank Kunal Satyam for helping in the field and laboratory analysis.